Portico installation protects your front entry from sun and rain. However, the benefits of installing a portico go beyond simple protection. 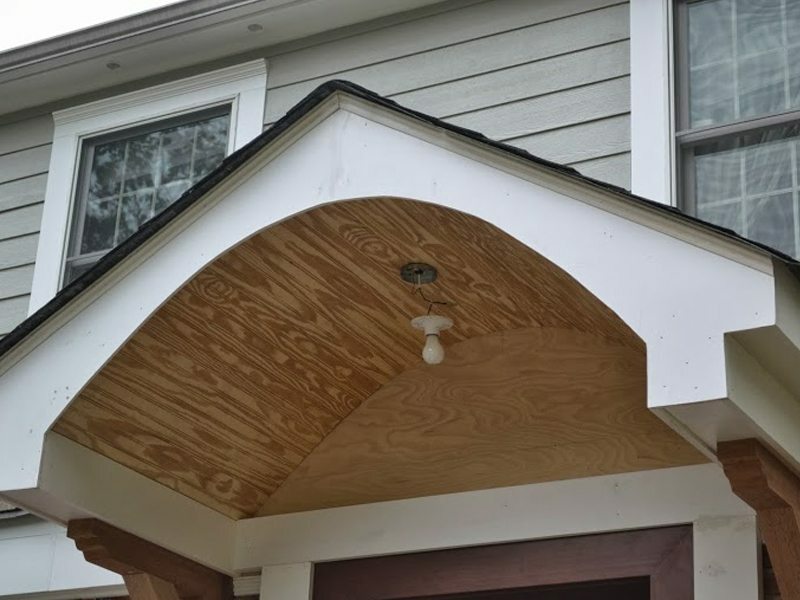 Installing a portico can also dramatically improve the look of your home’s exterior, adding unique architectural detail. 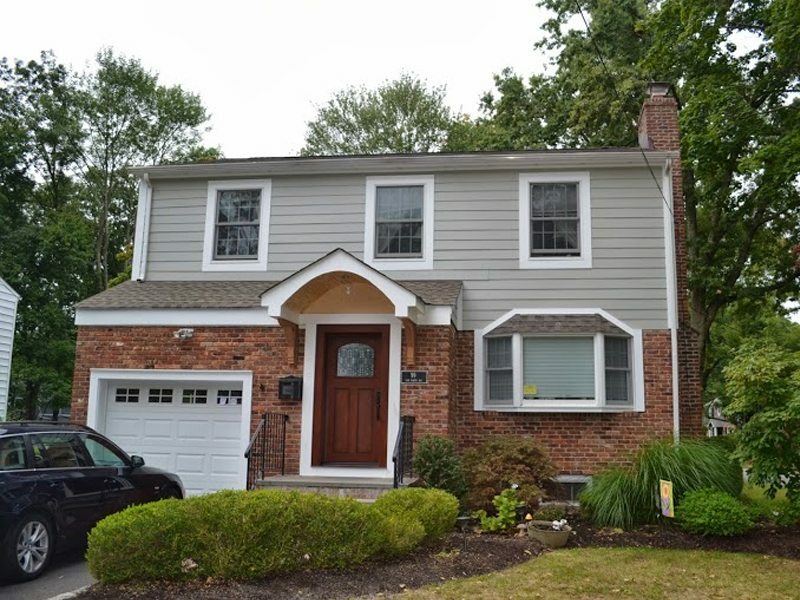 The owners of this Chatham, NJ home called in our team at Monk’s to perform a number of exterior changes to their home. These changes included installing a new front door, replacing rotted window trim, and building the new portico. All of these exterior improvements were completed in only ten days. Firstly, our team installed the brand new front door that the homeowners had already picked out and purchased for their home. Replacing your front door is not only important maintenance, but it is also a great way to update the look of your home. Our team made sure that the existing door frame was properly trimmed out to accommodate the newly purchased door. Then, our team of carpenters custom built a portico to perfectly fit the entryway of this home. The entire structure was carefully framed out and all electrical work was done so that a light could be installed. Our team at Monk’s crafted custom made mahogany brackets to perfectly fit the structure, while achieving a specific aesthetic. The rest of the portico was crafted with Douglas Fir framing and azek trim. The wood beadboard ceiling built for the portico would eventually be stained. While our team was working on this Chatham, NJ home it was discovered that several portions of window trim were rotting and in need of a replacement. Finally, our team replaced the rotted window trim with azek, a moisture resistant material. So, with a new door, new portico, and replaced window trim, this home’s exterior is looking as good as new! Another great job by our team at Monk’s! 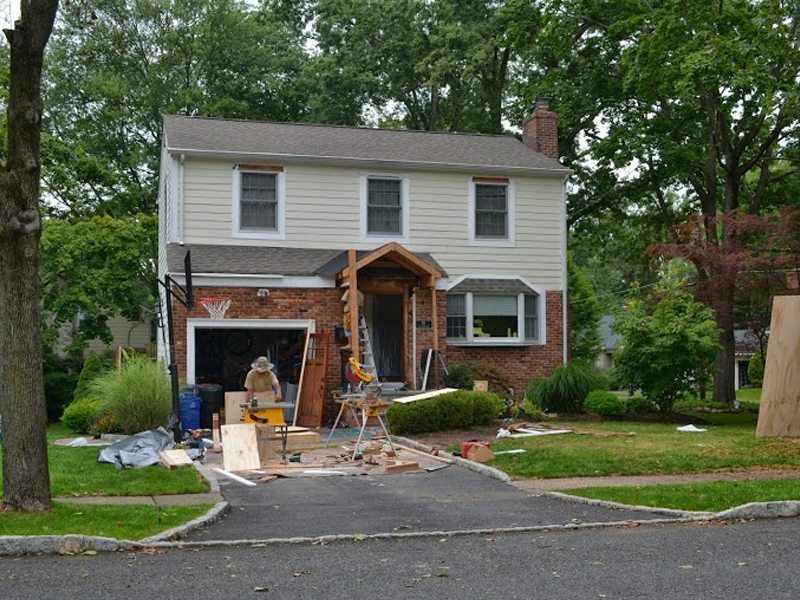 If you are considering an exterior carpentry project for your home we would like the opportunity to tell you why we think we are the best exterior carpentry contractor in Chatham, NJ 07928.